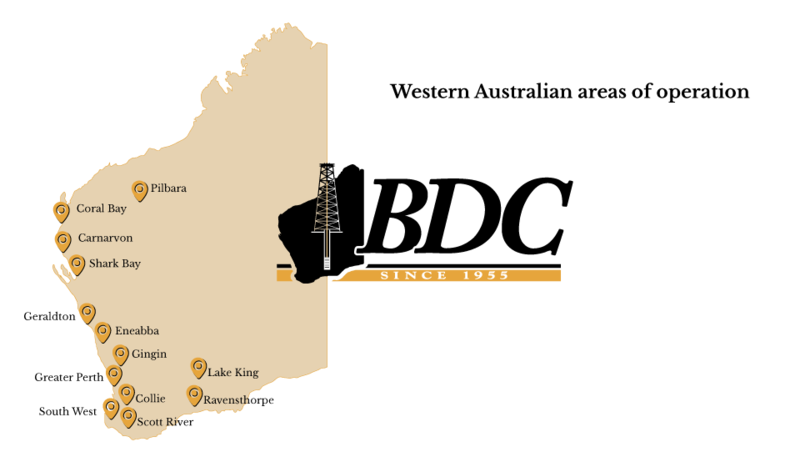 BDC has been providing an unparalleled level of drilling services to the mining, agricultural and public water supply industries for over half a century. 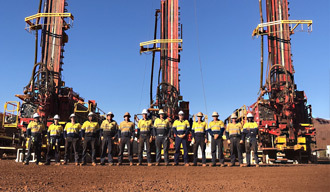 Established in 1955, we are one of the oldest and most experienced specialist drilling contractors in Australia today. 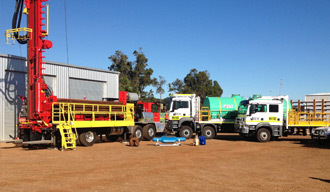 Bunbury Drilling Company has established BDC as a division to service ongoing contracts in the North West. Fly in/Fly out operations are conducted from the Perth Domestic Airport with industry leading rosters and conditions. 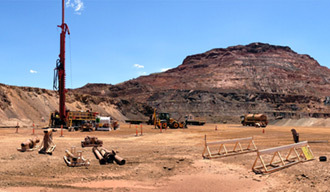 BDC Managers and Supervisors are focused on delivering drilling operations with the highest regard for safety. 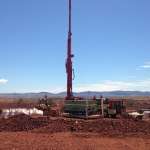 Water Well Drilling, Mine Dewatering Production Bores, Coal Seam Gas (CSG) exploration and Monitoring Wells are drilled and constructed by ADIA Licensed Class 1/2/3 Water Well Drillers. 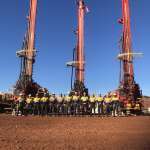 BDC uses the most advanced drilling rigs available in Western Australia today. 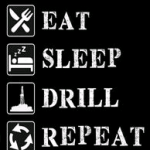 All rigs are fitted with fully automated drill rod handling, onboard mud pumps and high pressure air compressors to facilitate safe and efficient operations and successfully deliver client outcomes.